Who was George Sturey? His name is one of 140 engraved on the Lambton Park WW1 memorial gates, and one of 29 shown as killed in action. This month marks 100 years since the planned opening ceremony of the gates in April 1919, a ceremony that never took place because the influenza pandemic at the time restricted public gatherings. Searching the online records, I could find no trace of Sturey. In researching other soldiers I had found numerous errors with the gate inscriptions. Perhaps “Sturey” was a mis-spelling, or maybe an anglicised form of a German surname? Searching every possible name variant I could think of revealed nothing. Eventually, after a page-by-page study of the embarkation rolls, in the records of the SS Port Napier, I located Salvatore Sturiali of Lambton, a surname that Australians would naturally shorten to Sturey. Confirmation came from the Red Cross “Wounded and Missing” files where a soldier reporting on Sturiali’s death recalled “We used to call him George”. Sturiali died on 21 June 1918 on the Somme battlefield, when a German artillery shell hit the cookhouse he was serving in. His fellow soldiers described him as a “short, dark, curly headed chap” who “was very popular”. An Italian born immigrant to Australia, killed on French soil, alongside the British in a war against Germany, Sturiali stands as an example of why the 1914-18 conflict was aptly named a World War. The elusive name “Sturey G.” engraved on the Lambton Park Memorial Gates. 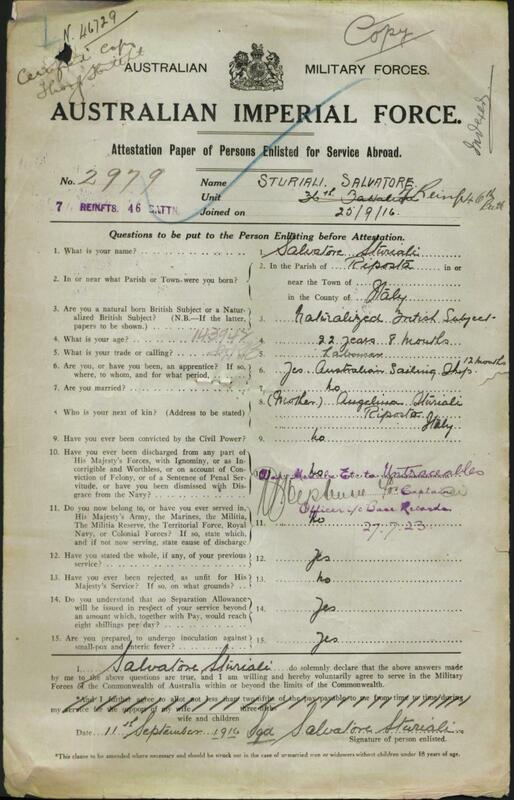 The 1916 enlistment form of Salvatore Sturiali, one of the documents that confirmed the identity of G Sturey. The article above was first published in the April 2019 edition of The Local. There were three key documents that confirmed that the George Sturey on the Lambton Park Memorial Gates was Salvatore Sturiali. Sturiali’s name in the embarkation roll of the SS Port Napier. “We used to call him George”. The Red Cross Missing and Wounded files. The following points summarise what we know of Sturiali, as gleaned from his war service records. Born 1892 in Riposto, on the island of Sicily, in Italy. His mother Angelina Sturiali resided in Riposto, Italy at the time of his enlistment. Lived in Pearson Street, Lambton. Enlisted 11 Sep 1916, aged 22 years and 8 months. Assigned to 7th reinforcements of the 46th Infantry Battalion. Embarked from Australia on SS Port Napier, 7 Nov 1916. Was in D Company of the 46th Battn. Wounded at Battalion Headquarters at Sailly-le-Sec, when a German artillery shell hit the cook house Sturiali was serving in at about 9am on 21 June 1918. The battalion headquarters was located in a gully north-west of Sailly-le-Sec, and was about a mile behind the front line. Taken to the 12th Field Ambulance nearby. Died of wounds a few hours later at the 47th Casualty Clearing Station near Corbie. Buried at Crouy British Cemetery, outside the village of Crouy-sur-Somme. 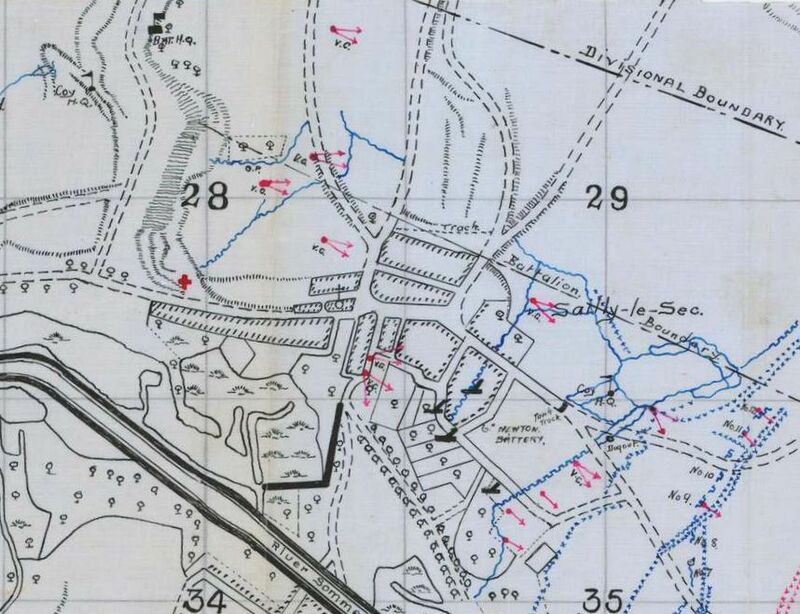 A map from the 46th Battalion War Diary June 1916, showing the location of the battalion headquarters in a gully north-west of the village of Sailly-le-Sec. A Google Earth view of the gully where the 46th battalion headquarters was located in June 1918. 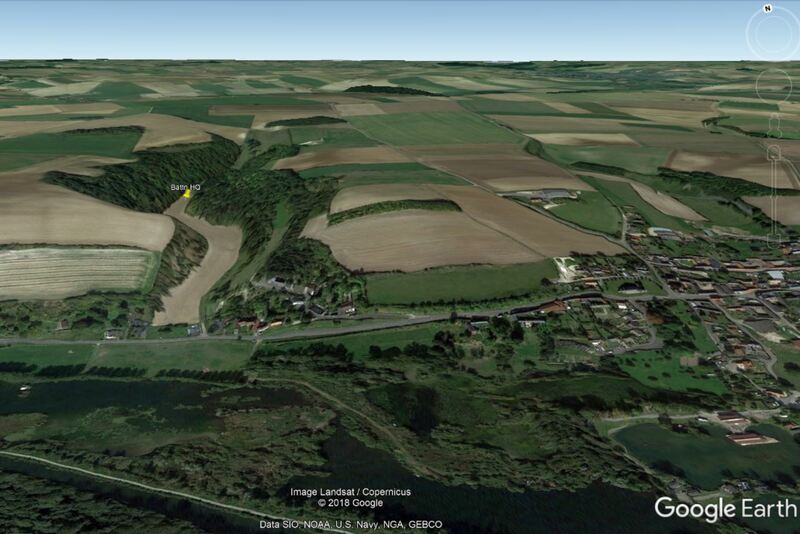 Google Earth image of the Somme Valley, showing where Sturiali was injured (Sailly-le-Sec), died (Corbie) and buried (Crouy-sur-Somme) in June 1918. 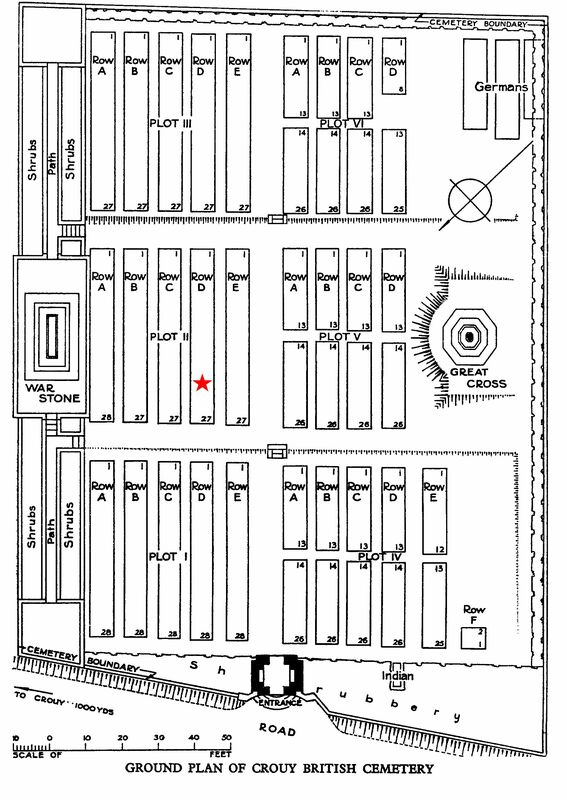 The location (marked with a red star) in Crouy British Cemetery, Somme, France, where Pte Salvatore is buried. 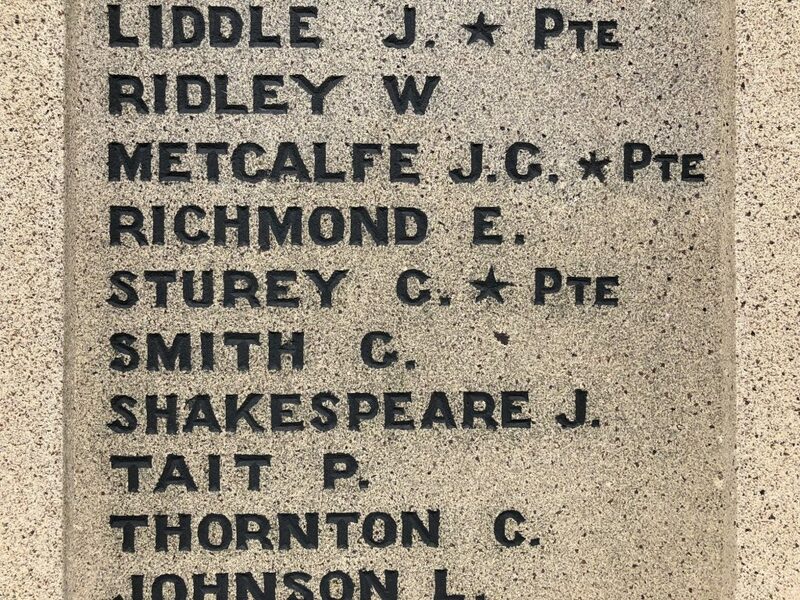 Pte G Sturey, listed on the Lambton Post Office Honour Roll. 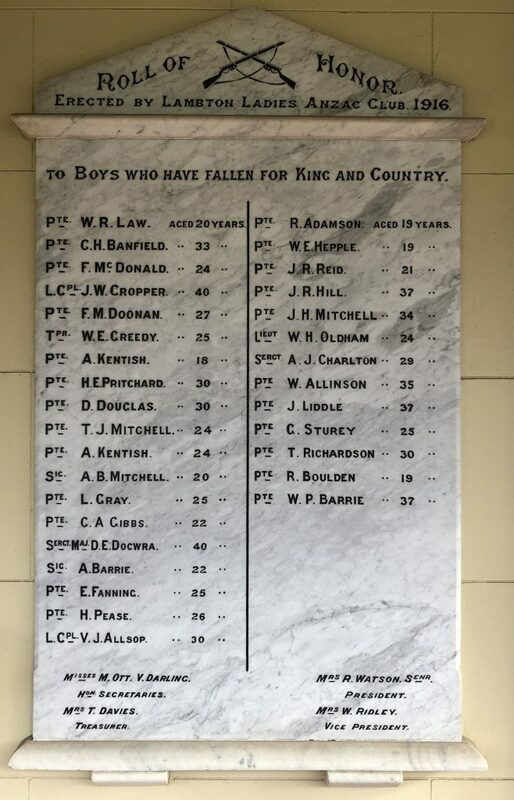 Sturey is also listed on the Honour Roll at the front of the former Lambton Post Office, although his stated age of 25 is probably incorrect. On his enlistment form in September 1916 Sturiali lists his age as 22 years and 8 months, which means he would have been 24 years of age at his death in June 1918. Information on the Lambton Park Memorial Gates including a full list of soldiers. Embarkation Roll of the SS Port Napier, 17 November 1916. War diary of the 46th Infantry Battalion, June 1918. 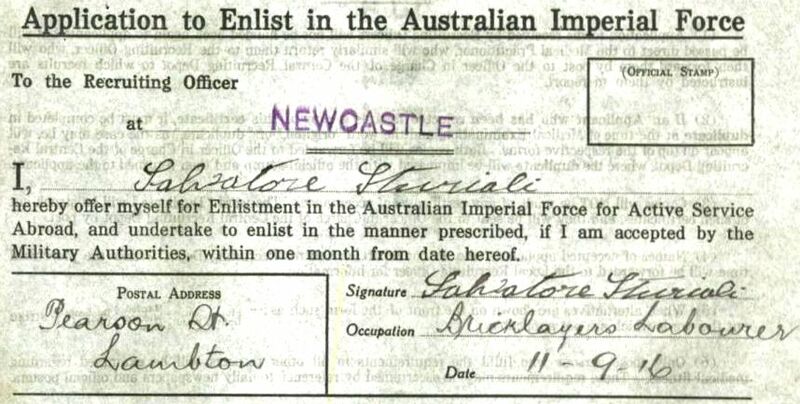 Enlistment form of Salvatore Sturiali, 2979. 21 Jun 1918 "Mrs. Hincks, of Pearson-street, Lambton, has received word that Private George Sturey has died of wounds. Prior to enlisting he was employed by Messrs. J. C. Davies and Sons and W. Timmins, contractors." 12 Apr 1919 "There was a fairly large gathering on Saturday afternoon to witness the unveiling of the roll of honour gates. At the time fixed for the opening, Alderman Hardy said it was regretted that in consequence of the influenza restrictions the proposed opening ceremony would have to be dispensed with."